If your business relies on search engine optimization (SEO), then it may be a good idea to have an audit from an SEO service in Toronto. Most companies now know the importance of SEO and online marketing when it comes to attracting new customers, increasing brand awareness, and generating sales. However, many businesses do not understand how to make their SEO effective or if their SEO is actually working in its current form. If you do not have advanced experience in SEO or if you are languishing in search engine rankings, then you may need an SEO audit. An SEO audit can determine problems and issues with your business’s SEO strategy. SEO companies can perform audits to highlight technical problems that cause your web sites and online content to score low in search engines and become buried under other web sites. Here are five reasons your business may need an SEO audit. You need to be on the first page of Google’s results for whichever keywords you have selected. Most people will never go past the first page of results, so if your business isn’t there, you can forget about it ever being seen. An SEO audit can help determine what is causing your site to rank low in search engines and what can be done to boost you to the first page. Search engine rankings depend on a lot of factors, including Google’s algorithms. Google doesn’t release these algorithms and they are constantly tweaking them, making it hard to stay ahead with your SEO. It is possible that your web site is following proper SEO practice but still failing to get results because you are being penalized by new changes Google has implemented. An SEO company can help determine where the faults lie with your strategy and why good SEO is failing to have an impact. The great thing about SEO is that it is the most affordable type of marketing available. For a very small investment, you can easily gain interest, create customers, and generate sales. If your SEO strategy is actually costing you money rather than creating it, it could be a sign that something is wrong. For instance, you may be using pay-per-click, which is an expensive form of online marketing compared to more effective alternatives. Sometimes SEO may be bringing a lot of people to your web site, but few end up becoming paying customers. A conversion rate refers to the number of people visiting your site that are converted into paying customers. A low conversion rate can often be due to an SEO strategy that is good but ill-suited to your specific company. For instance, the wrong keywords can bring the wrong type of people to your web site. Furthermore, there can be design problems with your web site or flaws in your content that turn people away. An SEO audit can help pinpoint the precise reason for a low conversion rate. If people quickly leave your site after clicking on it, you have a high bounce rate. With a high bounce rate, there’s a good chance that there is a major flaw with either your web site or content. A high bounce rate means that people are finding your web site, but something major is causing them to immediately turn away. Often, poor web design, slow loading pages, or irrelevant content are the culprits. 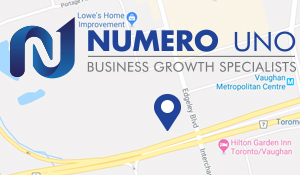 Numero Uno Web Solutions provides SEO services in Toronto to startups and small companies from all industries and fields. We stay on the pulse of industry changes and adapt our practices to produce quality SEO and content marketing plans to fuel the growth of businesses across communities. Click here to learn more about content marketing techniques and how we can help improve your search profile.